Home » Technology News and Business Updates Of Pakistan » How to Subscribe Telenor Social Pack? Telenor Social Pack is a wonderful offer for the Telenor customers. Now they can enjoy Facebook, Twitter & WhatsApp for the whole day. How to Subscribe Social Pack? All the Telenor & Djuice prepaid users can avail this offer. Users can enjoy the bundle on 2G/3G/4G internet access depend on the area. Customer can subscribe the offer multiple times. Over usage of data will be charged Rs.1/MB. 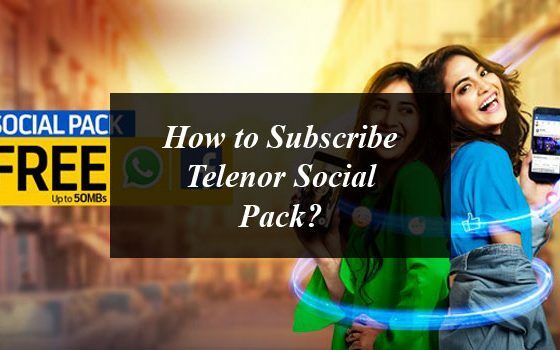 How to Subscribe Telenor Social Pack? Telenor Social Pack: Subscription, Un-subscription, Charges, validity and Data.